Jakob Fuglsang out-sprinted Chris Froome and Richie Porte to win stage 6 of the Critérium du Dauphiné Friday. 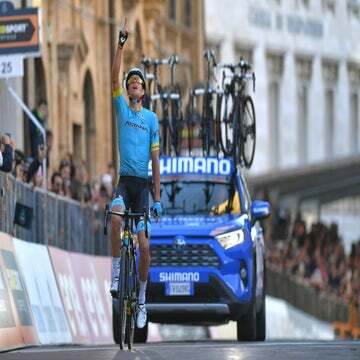 Jakob Fuglsang out-sprinted Chris Froome and Richie Porte to win stage 6 of the Critérium du Dauphiné Friday in Motte-Servolex, France. Astana’s Danish all-rounder moved up to third overall with the win. Porte, BMC’s leader for the Tour de France, made his intentions clear, taking the yellow jersey. He finished the day second ahead of Sky’s Froome. As anticipated, the hors categorie Mont du Chat climb was decisive. It came about 30 kilometers from the finish of the 145.5km race. The winning group escaped on the 8.7km ascent, which challenged the peloton with grades of 10 percent. 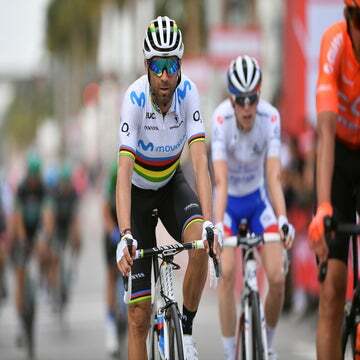 Top GC contenders Alejandro Valverde (Movistar), Alberto Contador (Trek-Segafredo), and Romain Bardet (Ag2r La Mondiale) saw their ambitions in this one week race take a hit. Contador, a two-time Tour de France champion lost more than one minute after a promising performance in the stage 4 time trial. “The objective here is to win the race,” said Porte. “So when I heard Contador and Valverde had been dropped I picked up the tempo,” said the Australian. Surprisingly, Italian Fabio Aru, Fuglsang’s teammate, finished fourth on same time as Porte. Aru went over the top of the final climb first and was caught by the trio on the descent. A GC hopeful for the Tour, Aru had to skip the Giro d’Italia to recover from a knee injury. “I still have work to do but things are going in the right direction. The climb today showed I’m on the right track for July,” Froome said. “I’d be lying if I said I was satisfied with my place. I wanted to win the stage but I made mistakes. I did a little too much work to catch Fuglsang and I launched the sprint too far out. Saturday’s seventh stage is a challenging 168km ride from Aosta to the epic Alpe d’Huez climb and summit finish via the col de Sarenne.